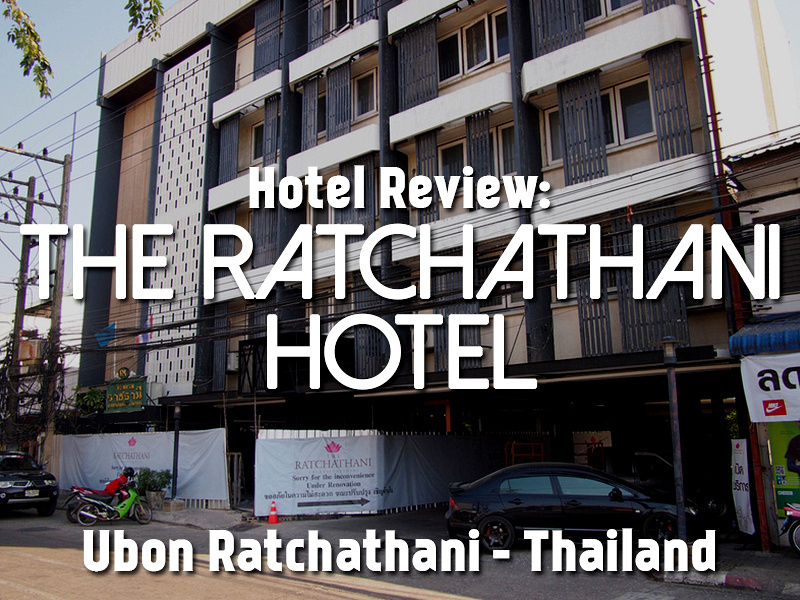 I stayed at The Ratchathani Hotel in Ubon Ratchathani, Thailand. 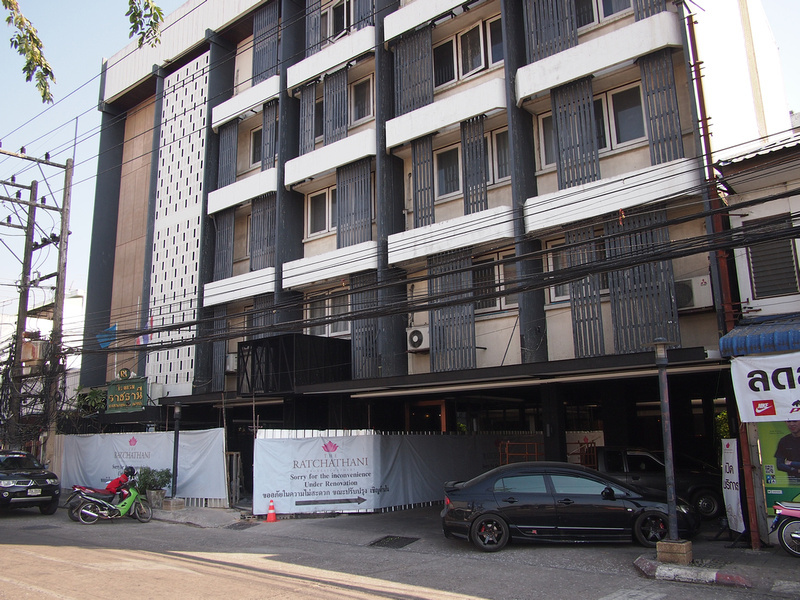 I was looking for somewhere central to stay in Ubon, though it is not very apparent by looking on the map what is a central or advantageous location. It turned out that this was a good location, being in a location near some interesting sights if you are just visiting for a day. The hotel lobby was being renovated when I was there so the front entrance was closed. I got a double room with private bathroom. The room was showing its age, with worn out and scuffed furniture. 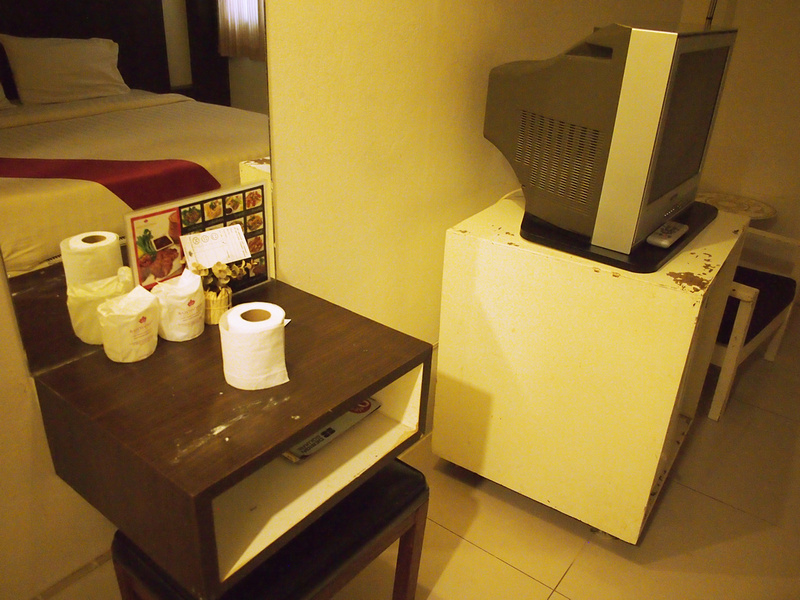 The room also had a feint smell about it. It was like it used to be a smokers room 10 years ago, and they could never get the smell out. Not that it smelt smoky, just stale. I wondered if the rooms were also going to be renovated after the foyer. Apart from its aged appearance the room was adequate for my needs, and the bed was comfortable. 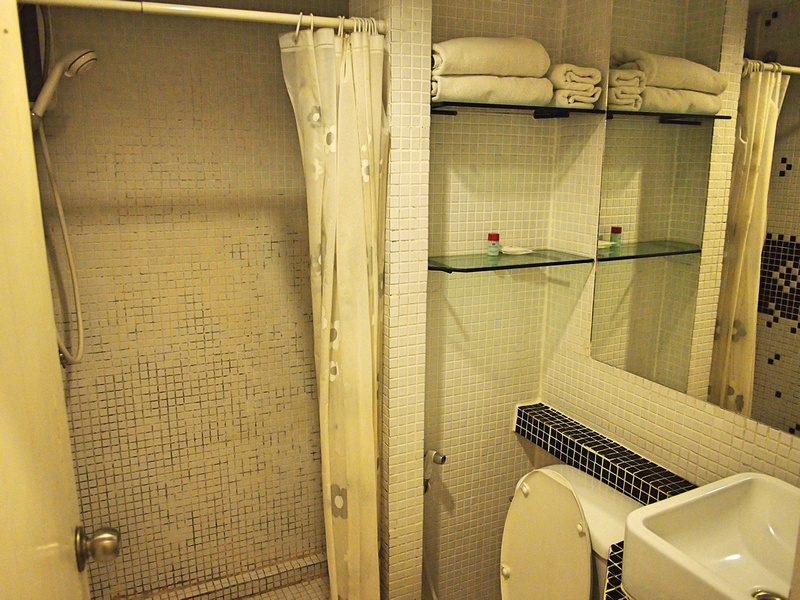 The bathroom was clean and orderly, though the old tiles made it look less so. There is free wifi and I had no problem connecting in my room. 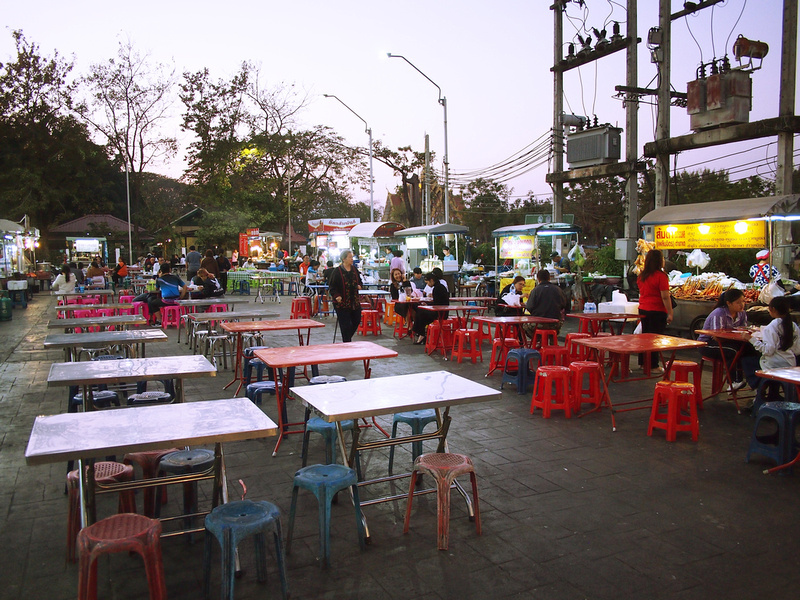 The location turned out to be ideal as the is a night market on the corner with a great selection of cheap food options. I got the train early in the morning and the station is on the other side of the river. I paid a driver 100 baht to get there. Overall this was adequate as a cheap place to stay for a night. 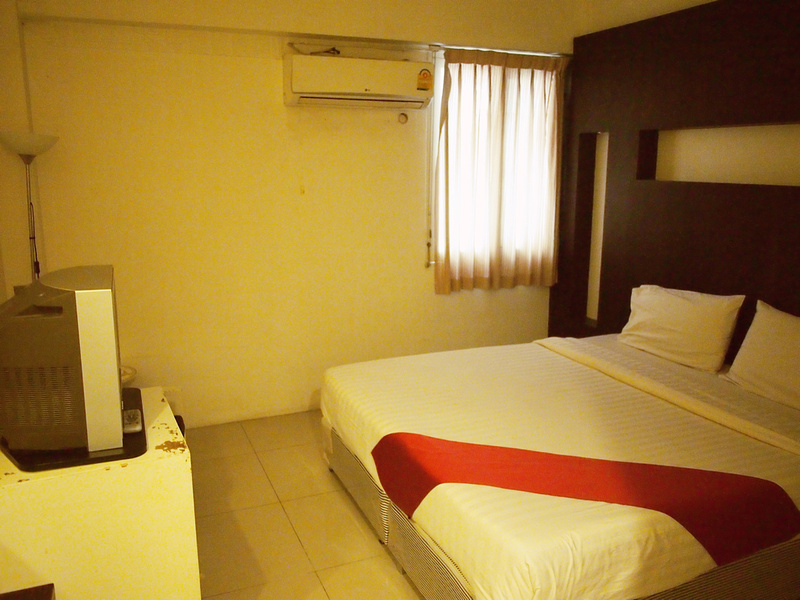 Book the Ratchathani Hotel online or search for more hotels in Ubon Ratchathani.